My sister’s birthday is in April. 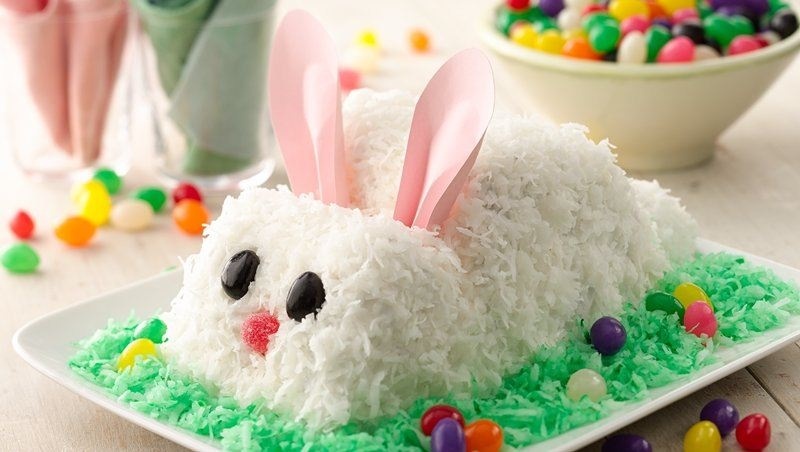 When we were little, our mother used to make her a bunny cake for her birthday parties. Being two and a half years younger, I was always on the sidelines at those parties, but I wasn’t alone. I had what my mother used to call “the green-eyed monster” for company. Oh, how I coveted those bunny cakes. Adorable, isn’t it? Full of the joyous promise of spring and surrounded by brightly-colored sugary jelly beans. A child’s dream, with lots of frosting. An added touch of the exotic with the coconut.